Not eating enough fruits, vegetables or dairy products? You’re not alone, and you might be missing out on some important nutrients. Nutrition Expert Susan Bowerman explains. Unfortunately, many people are eating too much, yet getting too little nutrition. Many of us are eating too many calories from foods that are loaded down with fats and sugar, but these may also lack important vitamins and minerals. At the same time, we’re not eating enough fruits and vegetables, which are some of the richest sources of vitamins and minerals. Because many of us don’t consume enough dairy products, it’s tough to meet needs for calcium and vitamin D.
So, it should come as no surprise that the vitamins and minerals that are often lacking in many diets are the same ones that are abundant in fruits, veggies and dairy products. Are you eating enough to meet your needs for these five nutrients? Why you need it. Folic acid—or folate, which is the form in which it exists in foods—is one of eight B-vitamins that are needed for the manufacture and maintenance of cells, particularly during periods of rapid cell growth. This is is why it’s so important that women consume adequate amounts both before and during pregnancy. Folic acid is also used to manufacture genetic material, as well as red blood cells, which help carry oxygen throughout the body. Where you find it. The words folic acid and folate derive from the Latin word folium, which means leaf, and for a good reason. 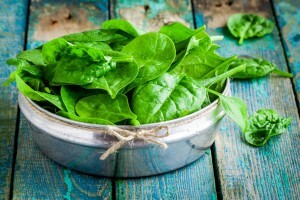 This vitamin is abundant in green leafy vegetables. You can also find folate in asparagus, broccoli, avocado and citrus fruits, as well as nuts and beans. Why you need it. A key function of vitamin A is to support proper vision. It’s a critical player in the transmission of electrical signals from the eye to the brain. Vitamin A also supports the health of skin and mucous membranes, which act as barriers against infection. It also supports reproductive and immune system function. Where you find it. Vitamin A is found in its active form (which the body is ready to use) in a few animal foods, such as liver, eggs and butter. Most people get the bulk of their vitamin A in the form of beta-carotene, a compound that provides deep green, yellow and orange color to many fruits and vegetables. The body can easily convert beta-carotene into the active form of vitamin A. Beta-carotene is found in many colorful foods, including carrots, winter squash, peaches, apricots, papaya, sweet potatoes, leafy greens and broccoli. Why you need it. Calcium is the most abundant mineral in the body, and nearly all of it is stored in your bones and teeth. Most people know how important calcium is in keeping these tissues healthy, but it plays other critical roles. Calcium plays a role in muscle contraction and helps to regulate your heartbeat, and it helps cells in your nervous system to communicate with one another. Where you find it. Although most people look to dairy products first—and they are the richest sources of calcium—you can also find it in leafy green vegetables, tofu, beans and almonds. Why you need it. Vitamin D stimulates the absorption of calcium and phosphorus from the digestive tract, so it is vitally important in helping the body to form and maintain healthy teeth and bones, where these minerals are stored. Vitamin D is also necessary for proper muscle function and it supports activity of the immune system. Where you find it. Vitamin D is sometimes referred to as the “sunshine vitamin,” because the body is able to manufacture this vitamin in the skin when it’s exposed to sufficient sunlight. However, many people may not have adequate sun exposure due to many factors, including lifestyle or use of sunscreen, to produce adequate amounts. There are only a few natural food sources of vitamin D. The primary ones are fatty fish, egg yolks and liver, which is why milk can be a valuable source. In many countries, milk is fortified with vitamin D.
Why you need it. Potassium helps the central nervous system send its impulses throughout the body, It also helps maintain healthy blood pressure, and it helps you to efficiently extract energy from your food. And all your muscles, including your heart muscle, need potassium in order to properly contract. Where you find it. Fruits and vegetables are loaded with potassium. The best fruit sources include melons, bananas, avocados, apricots, citrus fruits and strawberries. The highest potassium vegetables are tomatoes, carrots, spinach and broccoli. Milk, along with its calcium and vitamin D, is also a good source of potassium. SHOULD I, OR SHOULDNT I?